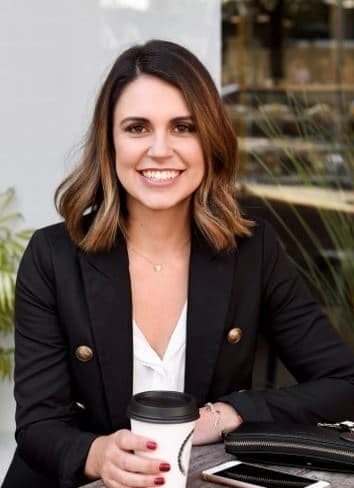 Lanna Hill is the founder of One Small Step Business Coaching, a boutique consultancy specialising in business planning, strategy, personal brand & sales & marketing for SME's all over Australia. Lanna is also an in-demand speaker, MC and media commentator, with regular segments across television, radio and print media. As a coach who has directly worked with over 200 businesses, Lanna's approach to media training will not only encompass your brand strategy but the practicalities of media engagements. Additional appearances: Curtin Radio, LAFM, 9 Honey, Community News. It's not everyday that you come across people that truly and honestly inspire you. Lanna is one of those rare beings. A beautiful person that just gets it and delivers every time. I've loved every minute of working with Lanna. She has given me the confidence as a small business owner to ensure that I'm on track every step of the way to meet my goals. She has a wealth of knowledge that just leaves me feeling so assured and confident in my planning, always making me feel charged and ready for more. Lanna was able to identify specific actionable tips and strategies that I am confident will deliver increased brand awareness and exponential growth. Lanna is observant, reads people extremely well, and her sincerity in wanting to serve others is the real deal. Lanna is a gifted listener and has a unique ability to distill what she has heard into valuable, credible insight. Her ability to do that distinguishes her from all other coaches. Lanna has the smarts, drive, education and experience foundation essential when communicating and attracting clients to your brand. I find myself often thinking about her words, remembering them and acting upon them. I recommend Lanna highly for any business owner who's looking to take their business to the next level.